Critics of Wells Fargo’s scandal are raising questions about why the California Public Employees’ Retirement System — which for three decades has demanded that corporations it invests in must operate under a clear ethical code — didn’t question illicit banking practices by the San Francisco-based banking giant that were first revealed in 2013 and which resulted in huge federal sanctions in September. Wells Fargo has been one of CalPERS’ largest holdings in recent years. According to Bloomberg financial records, CalPERS’ $950 million-plus stake in the bank is its fourth biggest holding after Apple, ExxonMobil and Microsoft. A member of the CalPERS board — state Treasurer John Chiang — says it’s unfair to expect CalPERS to be a corporate watchdog in addition to all its other duties. While the Wells Fargo stake may seem large, it amounts to one-third of 1 percent of CalPERS’ $289 billion portfolio. In a San Francisco Chronicle report earlier this month, CalPERS was also defended on the grounds that many investigators and watchdogs also didn’t do their due diligence. “It’s something that should have been caught. … It surprises me the fraud went on as long as it did,” former Citigroup risk officer Clifford Rossi told the newspaper. The Wells Fargo scandal involved bank employees establishing up to 2 million new accounts and credit cards in the name of customers. The employees faced quotas on how many new sign-ups from existing account holders they were expected to get and had financial incentives to create accounts without customers’ knowledge. Wells Fargo CEO John Stumpf resigned this fall after federal regulators fined the company $185 million in September, forfeiting $41 million in bonuses he stood to make. The company also said that more than 5,000 employees who created the unwanted accounts had been fired. Despite the strong defense of CalPERS offered by Chiang and finance industry figures, others say that criticism is inevitable because of CalPERS’ long history of demanding corporate accountability. Beginning in the 1980s, CalPERS began compiling a list of “target” companies with issues of concern — ranging from acting in ways that didn’t benefit the environment or were abusive to stockholder interests, such as overpaying CEOs or board members, or not taking shareholder and regulatory complaints with the seriousness they deserved. This has led to national coverage of CalPERS, the largest U.S. government pension fund. In 2004, The New York Times noted an internal power struggle over how hard CalPERS should go after such entities as Disney, Safeway, the New York Stock Exchange and Kohlberg Kravis Roberts. 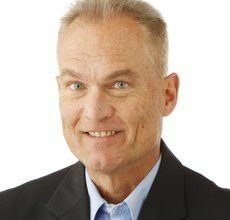 It led to the ouster of CalPERS board President Sean Harrigan. A union official, Harrigan was particularly aggressive about going after what he saw as extreme pay and poor oversight by corporate boards. But he also raised eyebrows when urging CalPERS to criticize hospital pricing tactics and getting CalPERS to support a health insurance reform ballot initiative that failed. At the time, this was depicted as an anti-oversight coup by business-friendly board appointments made by Republican Gov. Arnold Schwarzenegger. But that claim was belied by the board’s actions in 2006 when it and other groups sued UnitedHealth Corp. over its decision to sweeten the compensation of CEO William McGuire by allowing him to backdate his stock options to a more favorable point in time. In 2011 and 2012, CalPERS lobbied and eventually succeeded in getting Apple’s board to be more responsive and open to shareholders’ concerns about corporate governance, such as presenting comprehensive decisions about stock categories and dividends as yes-or-no proposals. It has remained critical of Apple in the years since. In 2013, CalPERS led the successful push to force Ray Lane out as chairman of struggling Hewlett-Packard. But there is no evidence that CalPERS followed up on the 2013 Los Angeles Times’ story that broke open the Wells Fargo scandal. The September announcement that federal regulators had fined the bank $185 million had far more information about the extent of the scandal, but its basic parameters were established by the original Times story. 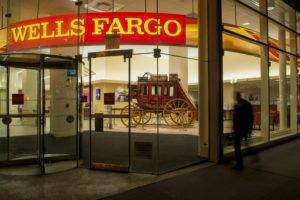 It noted that senior Wells Fargo officials had been aware for years of many accounts being opened without authorization but had done little to address the fraud, which came in an era in which the financial services firm’s stock price was soaring. There is also no documentation that CalPERS, formally or informally, complained about Stumpf’s compensation — which was $19.3 million in 2015 — until Chiang’s fall critique. CALLERS will say, “What problem? Just squeeze the peasants for more cash for our bloated retirement benefits.